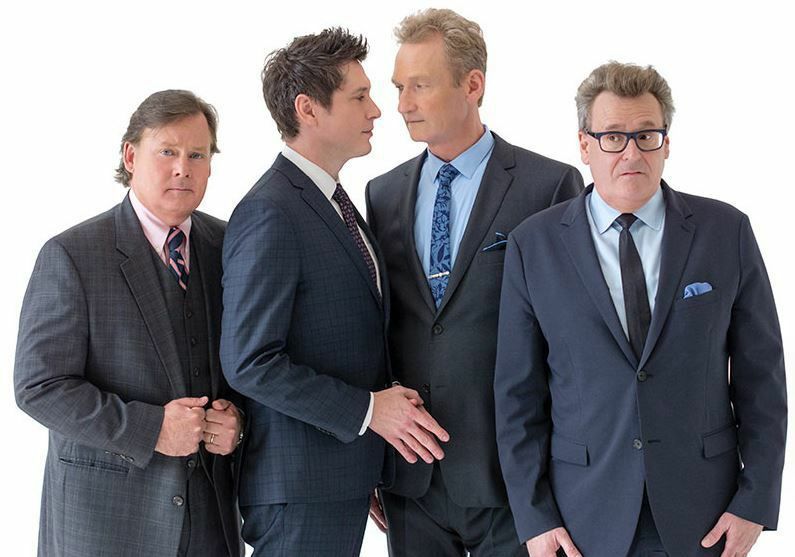 Left to right: Greg Proops, Ryan Stiles, Jeff B. Davis and Joel Murray. "Whose Live Anyway?" will be at Pikes Peak Center Nov. 8. Courtesy. Dave Foley, Joel Murray, Greg Proops and Jeff B. Davis will be in town Nov. 8. Tickets are $29.50 to $39.50 and go on sale at 10 a.m. Friday. VIP tickets are $79.50 and include premium seats and a meet-and-greet. Call 520-7469 or go online to pikespeakcenter.com or axs.com. Based on the popular TV series "Whose Line is it Anyway?," which debuted in 1998 with Drew Carey, the touring show is 90 minutes of improvised comedy and song based on audience suggestions, and occasionally helped along with audience participation.